→Change Now Cryptocurrency Exchange Scam: Whats the Truth? Change Now Cryptocurrency Exchange Scam: Whats the Truth? Welcome to Change Now Review and today I'm going to reveal the truth for Change Now. What is Change Now about? Is Change Now a SCAM? We are going to find out soon. You need to deal with the Cryptocurrency exchanges with caution, as there are genuine as well as scam exchanges out there. This is natural whenever something gets instant popularity especially online since many scammers also want to take advantage of the rising interest of people as well as lack of knowledge. That said, we will try to answer a similar question about Cryptocurrency exchange, and that is "Is Change Now Cryptocurrency Exchange a scam?" Change Now, which was founded as ChangeNOW.io, serves as a Cryptocurrency exchange with some unique features. So what makes it unique? Well, it allows you to exchange the Cryptocurrencies in unlimited amount while keeping your identity anonymous, as you don't have to provide any personal information for verification purposes. What Is Change Now and How Does it Works? Who Is Change Now For? According to a simple definition, it is just like hundreds of other cryptocurrency exchanges out there, but it allows you to exchange without any limit and by keeping your identity secret. There is also another fundamental difference between Change Now Cryptocurrency Exchange and other exchanges, as in traditional exchanges, you exchange with other users, but this is not the case with Change Now. When using Change Now Cryptocurrency Exchange, you don't exchange it with other users, but buy or exchange it directly from Change Now. They have a large pool of cryptocurrencies from where you actually buy cryptocurrencies. The exchange charges a fee of 0.5% on your transactions but allows you to exchange as much as you want. There are currently more than 100 currencies available in their pool, and the three most popular are BTC, ETH, BCH, which is not that surprising at all. The exchange also accepts Visa and Mastercard credit cards. First, you need to select cryptocurrencies from the drop-down menu for available options. As there are hundreds of cryptocurrencies available, you can create any combo, like BTC to ETH, LTC to ETH, and probably thousands more. Second, you need to provide the website with your wallet address. Once provided, you can proceed further by clicking Next. This means you must have a wallet to proceed further, but in case you don't have, you can find a link there that guides you to the wallet creation platform. Once you are satisfied with the information provided, all you have to do is click Confirm. Next, Change Now Cryptocurrency Exchange will create a deposit address to send your deposit to. Change Now then looks for the best possible exchange rate for the Cryptocurrency you want to exchange out of the ten integrated exchanges. Once they get the best rate, they process your transaction and send the coins to your mentioned wallet address. So what makes it better than others? Actually, a lot. You don't have to get into the signing-up process to use the platform. You also don't need to provide your email address, create a username, and set a password; by doing so, you can keep your identity anonymous. What is better is that it normally takes five to thirty minutes to transfer the amount to your wallet address. It is a Cryptocurrency exchange, so it is for people who want to exchange Cryptocurrencies but want to do this by staying anonymous. As there is no membership restriction, the process is also rapid. It doesn't require your personal information as well, so basically, it is also for people who want to trade Cryptocurrencies but don't want KYC verification by the exchange. It is also for those who want to get the best rates out there as the company does the hard work for you by finding you the best rates out of all exchanges. It is an easy-to-use platform as well with a straightforward interface. There is no limit, so you can use it for as many exchanges as you like. All you need is to pay them 0.5% on the total transaction amount as their fee or service charges. This fee is charged as they add it to the final exchange rate you get. If you compare the fee with other similar cryptocurrency exchanges, you can find it very competitively priced if not the cheapest. The exchange works on a straightforward process and takes only a few minutes to get the trade done. You don't really need any resources to learn how to use it. The interface is very self-explanatory and takes only a few steps. However, there is a tab that explains how the exchange works, FAQs page, and if you feel like contacting someone, you can also send them an email or call them on the provided number. Their support phone contact is of the Netherlands, so we can guess it is based there. To further know if Change Now Cryptocurrency Exchange scam claims are real, let us look at its good and bad sides. Allows some additional and unique features to its users. First, it doesn't need any KYC verification or wants the users to sign up with the service by providing personal information like email. This way, you keep your identity completely anonymous when trading cryptocurrencies. It allows you to deal in an unlimited amount of cryptocurrencies and for as many times as you want. The interface is clean and very user-friendly. The process is also very straightforward, so there is no learning curve involved. Not much information is available about the company origins and the team behind the exchange. Change Now Cryptocurrency Exchange doesn't look like a scam since it is an exchange that allows you to exchange Cryptocurrencies for a fee. The process is very straightforward and quick, but the only thing that makes the company little fishy is the lack of information related to the company origins and the team behind it. Overall, it looks like a platform to trade Cryptocurrencies but not-very-well known, so we advise you to approach with caution. You need to do you own diligence before Joining. Perhaps start small first. 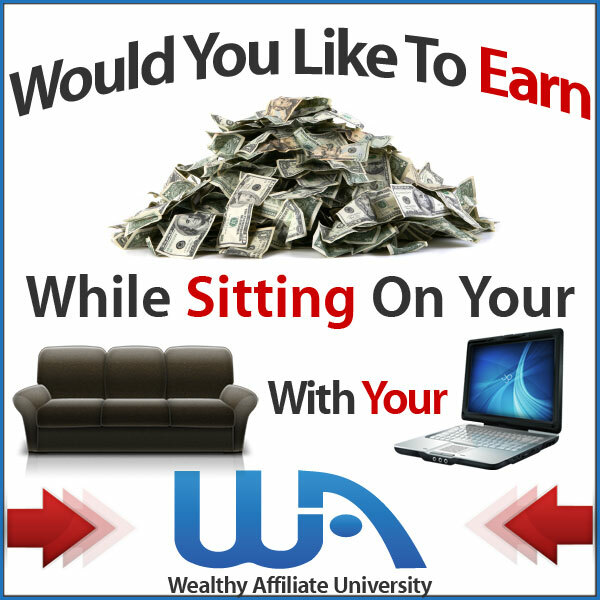 If you are looking ways to Make Money Online I would like to show you how I Generate My Passive Income Through Affiliate Marketing. You can read below what we are doing and if you are keen then join us. It's Risk free so you are able to try out whether is works for you. So Now It's your turn. Please feel free to leave your comment below if there is any thought. I would like to hear from you.